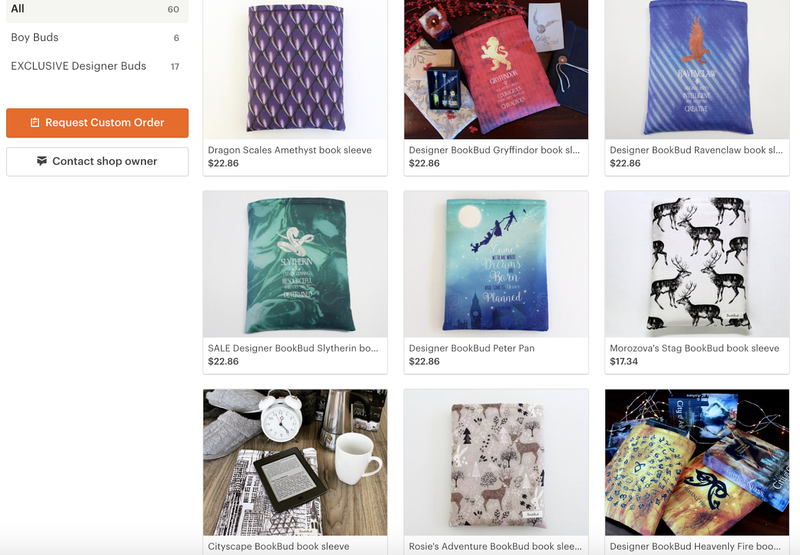 Lauren's Boookshelf: Bookish Holiday Gift-Giving Guide! So...it's the holidays. You have tons of family and friends to get gifts for, but no idea what to get. 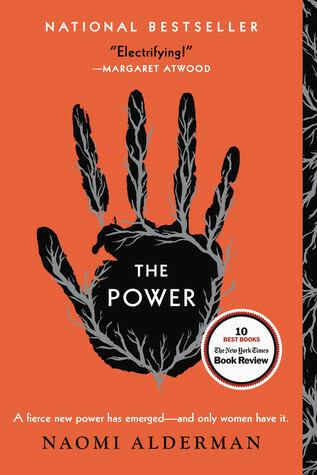 What does one get a book lover? Because, let's face it, just getting them a book off of their wishlist is unoriginal. You want something that they'll appreciate and use for a long time. 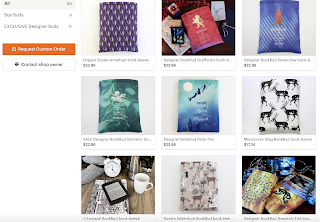 This is where I come in, because in the next few paragraphs I will be providing a comprehensive guide of bookish gift ideas perfect for the book lover in your life! Starting with something that every book lover needs: bookmarks. 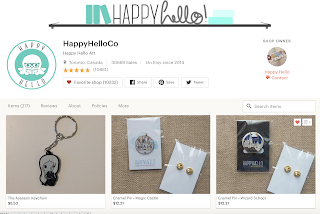 My top choice for cute bookmarks is HappyHelloCo on Etsy. 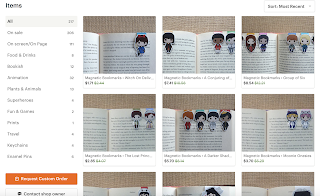 This shop creates cute little magnetic reading buddies that are based off many different books, movies, or TV series. 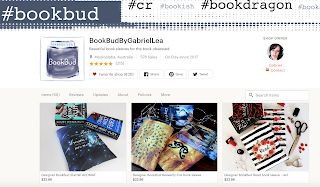 My favorites are the Throne of Glass themed ones, but I also think the Harry Potter, Stranger Things, and A Court of Thorns and Roses bookmarks. 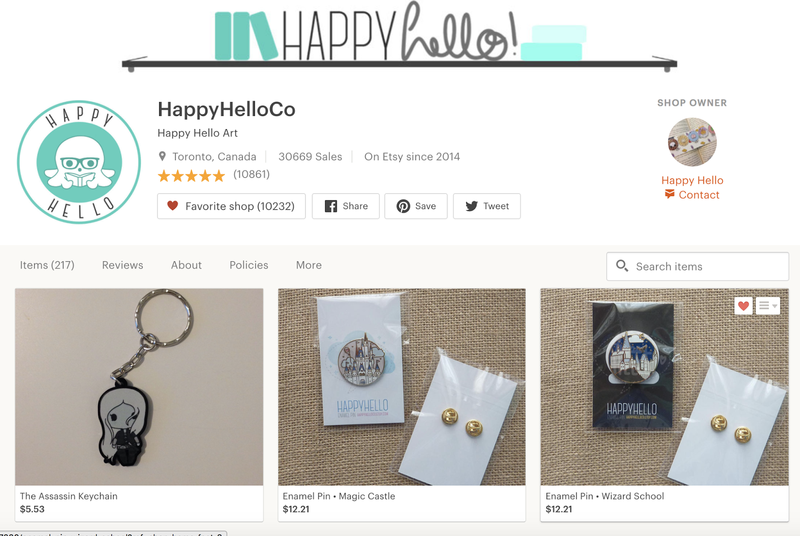 Not only that, but this shop has also created keychains of different character designs as well as bookish fantasy pins. They're pretty affordable for those on a budget and they ship in an envelope to keep shipping costs down. You can also get them regular bookmarks from other places. Just any bookmark is a safe bet. My next recommendation is mugs. Mugs from anywhere, if I'm honest, as long as they're cute. They can be bookish themed or not. I have a couple that are from book subscription boxes that I love. 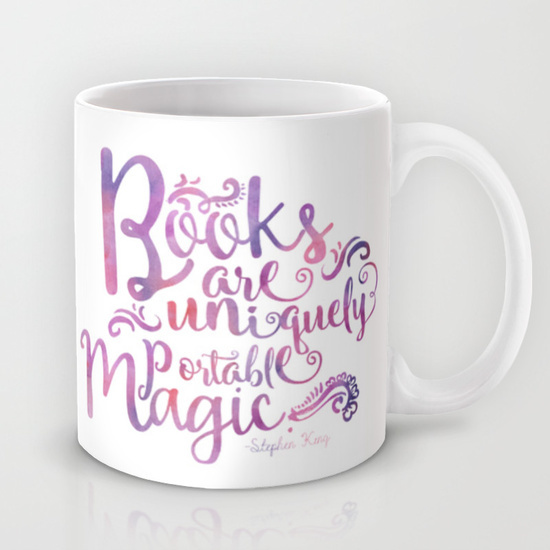 The reason this works so well is that most book lovers love to drink coffee, tea, hot chocolate, or some other form of beverage while they're curled up in their cozy chairs reading or watching their films. Preferably the mug would be themed around their favorite book or TV show, but cute animal or punny mugs also work well. I recommend getting these from Society6. There are plenty of designs and shipping isn't as expensive as some other places that I've looked. 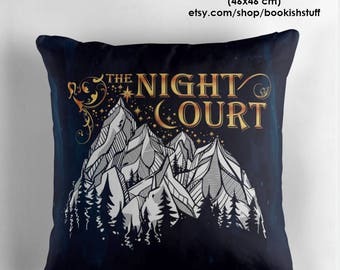 I also am quite partial to book/tv themed throw pillows. I have a ACOMAF themed one that I got as a graduation present, and I love it. I brought it to college and it goes perfectly with my color scheme. Themed throw pillows are comfy for beds or plush chairs/couches. Readers can curl up amongst a pile of pillows and relax while they read. Throw pillows simply just go with the aesthetic. There are tons of them in many different places, but my favorites are from Society6 or Redbubble, as the quality is good and the designs beautiful at a reasonable price. My number one recommendation, specific to book lovers, is book sleeves. Book sleeves are essentially just padded fabric pouches that you put your book into when you go places so that it doesn't get damaged. I use mine when I go to class or travel different places outside of my dorm room. I own three currently, but my favorite is from BookBudbyGabrielLea on Etsy. While I use all of mine, I find that my top choice is my book bud from this shop. First things first, the book sleeves arrived quicker than I expected and shipping was not expensive at all. Secondly, some book sleeve shops sell out quickly and only have sleeves in stock at certain times, but this shop has a lot of amazing sleeves always in stock in many different sizes. Now, you can always get a book-lover a gift card to Barnes & Noble or Amazon, but if you're going to go that route of letting them pick, I would say just take them on a shopping spree at Barnes & Noble and call it a day. I hope that this guide has been somewhat informative. I have so many book lovers in my life where I get them items from this list. I myself have at least one thing from every category on this list and love the items I have. Have a fantastic holiday season!